The Community Foundation of Middlesex County puts hearts into action and money to work. 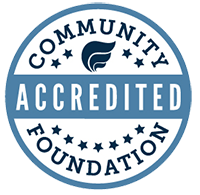 The Community Foundation’s role is to assist individuals achieve their philanthropic goals and objectives by providing support of the donors and expertise on ways to make our region a better place for all. When the dedicated group of volunteers came to the Community Foundation of Middlesex County about keeping alive the good works done by the “Let’s Hear It for the Boys “event, there was no hesitation, no question that the Community Foundation would find a way to partner with them to advance their vision: to continue to support programs and projects that will enhance positive educational, work and life experiences for boys and men. The volunteers established the “Let’s Hear It for the Boys” Fund at the Community Foundation. The group will host its fourth annual event (with the same name) on May 4, 2013 with proceeds from that event distributed to qualified nonprofit organizations serving boys and men through the Community Foundation’s granting process. 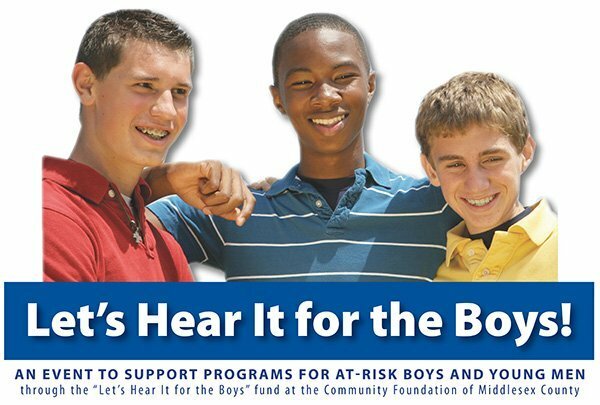 The group has great aspirations for the “Let’s Hear It for the Boys” Fund. They have also established a permanently endowed fund that will grow in perpetuity and that will continue to support the vision of these dedicated, caring individuals – FOREVER. The “Let’s Hear It for the Boys” volunteers demonstrate every day that local people, working together do indeed make a difference in the lives of others. They certainly are “Good People Doing Great Things”.